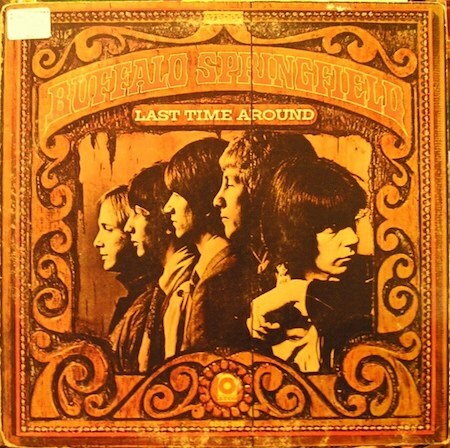 Last Time Around is the third and final album by folk rock band Buffalo Springfield, released in 1968 (see 1968 in music). The members included Neil Young, Stephen Stills, and Richie Furay. The record was released to fulfill contractual commitments. The group had already disbanded; nowhere do all members appear together on any track, and even the cover photo of the group is a montage. Young continued to perform "I Am a Child" and "On the Way Home" for many years, and Furay continued to perform "Kind Woman" with Poco. Stills took "Questions" and made it the ending to the Crosby, Stills, Nash & Young song "Carry On." Questions surround Bruce Palmer's contributions on bass. From For What It's Worth the book by John Einarson with Richie Furay: "Though his face and name are both omitted from the sleeve, Bruce appears on several tracks, including 'On the Way Home,' 'It's So Hard to Wait,' 'Pretty Girl Why,' 'Uno Mundo,' 'Merry-Go-Round,' and 'Questions'".